Washington D.C. 5/20/2016 – Today the Tomato Products Wellness Council was in attendance for the announcement of the new Nutrition Facts label by First Lady Michelle Obama, as well as a private briefing with the Commissioner of the FDA at the Partnership for a Healthier America Summit in Washington DC. The modernized label is part of an effort to help make healthy choices easier for families. 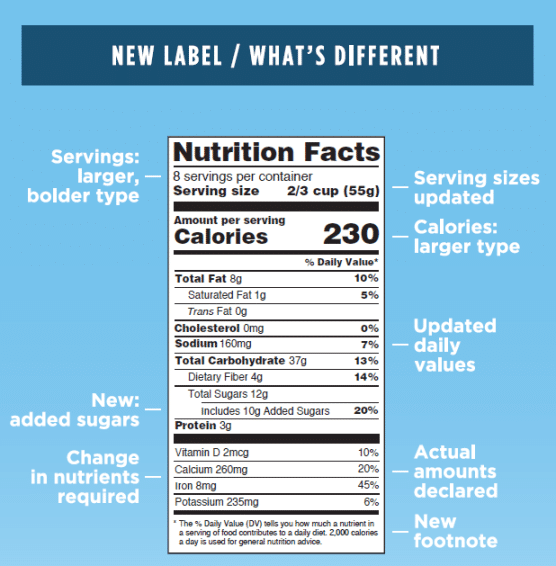 After reviewing the comments received on the proposed rules, the consumer studies, and updated nutrition science, the FDA made a number of changes to the Nutrition Facts label (see below The Major Changes to the Nutrition Food Label). The Tomato Products Wellness Council is in line with the new Nutrition Facts label, as the revised version continues to support the healthfulness of tomato products, such as canned tomatoes, tomato sauce, and tomato paste. Processed tomatoes provide a powerful supply of many important nutrients, including vitamins A and C, potassium, fiber, and carotenoids-all important for optimal health. In addition, tomatoes fit into the three healthful diet patterns recommended by the Dietary Guidelines for Americans: The Healthy US Diet Pattern, Healthy Mediterranean-style Diet Pattern, and the Healthy Vegetarian-Style Diet Pattern. • Added Sugar. Many tomato products are based only on minimal, whole food ingredients, such as tomatoes and water, yet, like many vegetables, tomatoes contain natural sugars that were required to be listed on the Nutrition Facts as “Sugar”; these products will now be able to list “0” on the “Added Sugars” section of the Nutrition Facts label. • Potassium. 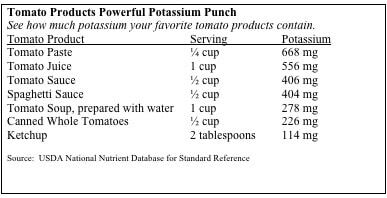 Given that potassium is a short fall nutrient in the American diet and critical to maintaining normal body function, including healthy blood pressure levels, the new Nutrition Facts label will now feature potassium levels. Tomato products are rich in potassium. In fact, evidence suggests that high blood pressure-one of the leading risk factors for heart attack and stroke-may be provoked by low potassium intake, and that a potassium-rich diet may help blunt the effect of sodium intake on your blood pressure levels. * A more prominent display of “calories,” “servings,” and “servings per container” that drives consumers’ attention to these important elements when making informed food choices. * Requirements for declaring the amount of “Added Sugars” in a food product. This is consistent with the 2015 Dietary Guidelines for Americans and the Institute of Medicine’s determination that calorie intake from added sugar is too high in the U.S. population and should be reduced. Including “Added Sugars” on the label will help consumers know how much sugar has been added to a product. 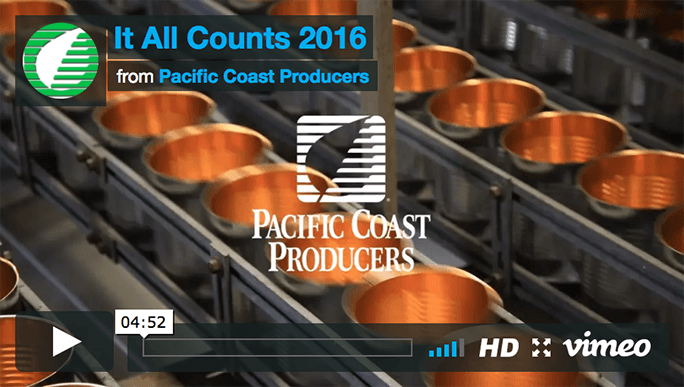 * Updated serving size requirements to reflect the amounts people currently eat. What and how much people eat and drink has changed since the serving sizes were first put into place in 1993. By law, serving sizes must be based on the portion consumers actually eat. 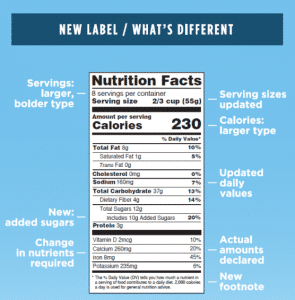 * “Dual column” labels to highlight both “per serving” and “per package” calorie and nutrition information for the whole package of certain food products. * An abbreviated footnote better explaining percent Daily Value. * An updated list of nutrients required to be declared based off of public health significance. 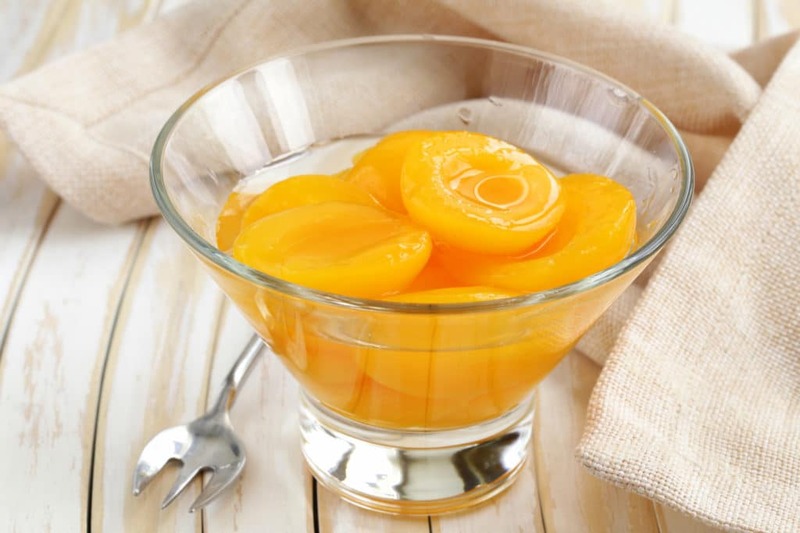 Vitamin D and potassium-nutrients Americans often do not get enough of-will be required. Calcium and iron will continue to be required. Vitamins A and C are no longer required but can be included on a voluntary basis. Compliance will be required two years from today, and manufacturers with less than $10 million in annual food sales will have an additional year to comply.